This year N-Sync marks our 7th year as website developer and hosting company for the State Attorney’s office for the 18th Circuit, covering Brevard and Seminole Counties. 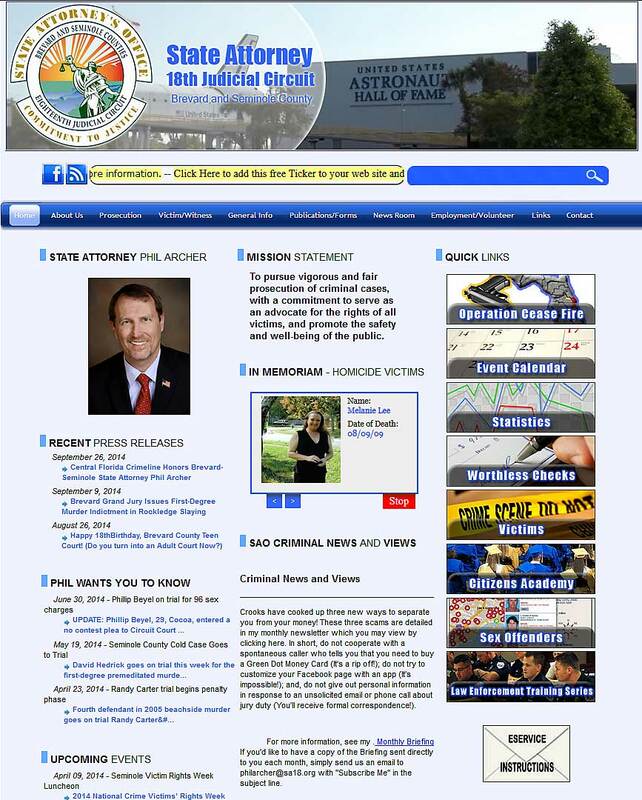 We have been fortunate to work with the State Attorney and have been privileged to work on several versions of both their Internet and Intranet websites. We released the most recent version of the public internet site (seen below) this year and we are currently in the process of updating the intranet site. Whenever possible we like to recognize some of our long time clients and thank them for continuing to count on Nsync to meet the needs of the office and the community.